Many praise Vonnegut for his ability to challenge the status quo and highlight controversial issues like evolution, politics, or even aliens with such impeccable prose. Others praise Vonnegut for his original artwork, including his famous asterisk symbol. 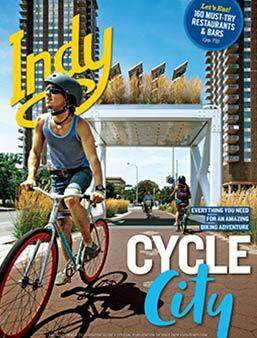 He’s Indianapolis’ son – and the son and grandson of two architects who literally built Indy. Look up, down, and all around to find the works of Vonnegut whether it be in our buildings, our museums, and even our watering holes. Here’s your self-guided tour of all things Vonnegut. And so it goes…. 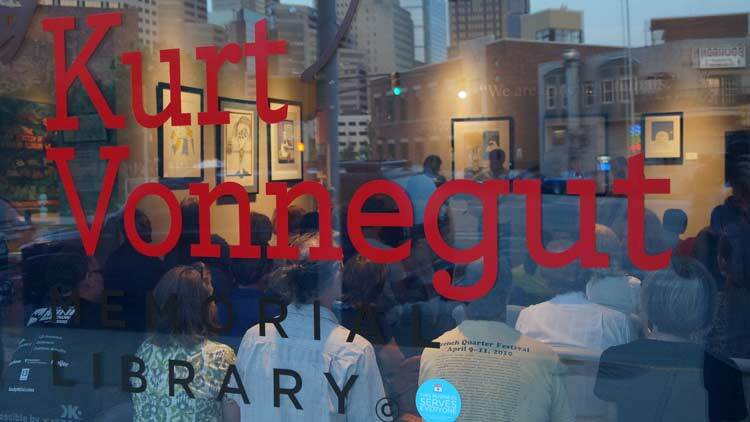 Indy will celebrate the grand re-opening of the Kurt Vonnegut Museum and Library this spring. The new museum is four times larger than the former memorial library and will be located on Indiana Avenue, right in the heart of the historic Jazz district and the Madame Walker Legacy Center. Museum goers can find Vonnegut’s Purple Heart received after spending time as a prisoner of war, his original typewriter, an unopened package of his Pall Malls, and numerous works of original art. Many visitors are intrigued by the letter his father wrote him while serving in the war. The letter was never opened and never will be. The two-story mural of Kurt himself is a selfie must. The mural was painted by local artist Pamela Bliss as a part of the city’s 46 murals commissioned and painted all in time for the city to host Super Bowl XLVI in 2012. You can find Kurt in his famous pose on the side of Mass Ave’s Louie’s Wine Dive. 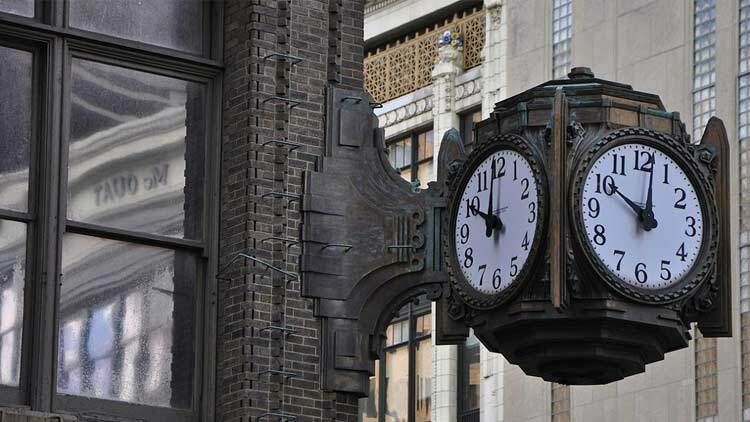 Kurt's grandfather Bernard Vonnegut and Arthur Bohn designed the 1905 Ayres department store on the corner of Washington and Meridian Streets, and in 1936 designed the famous bronze clock. Positioned nearly 29 feet above the sidewalk, the eight-foot-tall clock gave passersby the time from all four directions — when it worked. In 2016, the city held a fund raising campaign to get the clock ticking again. We think Vonnegut would have something witty and wise to explain why time stood still on the clock for months before it was finally fixed. Tucked along Indy’s SoBro neighborhood you’ll find this classic watering hole Kurt was known to frequent, along with other Hoosier authors like Dan Wakefield. 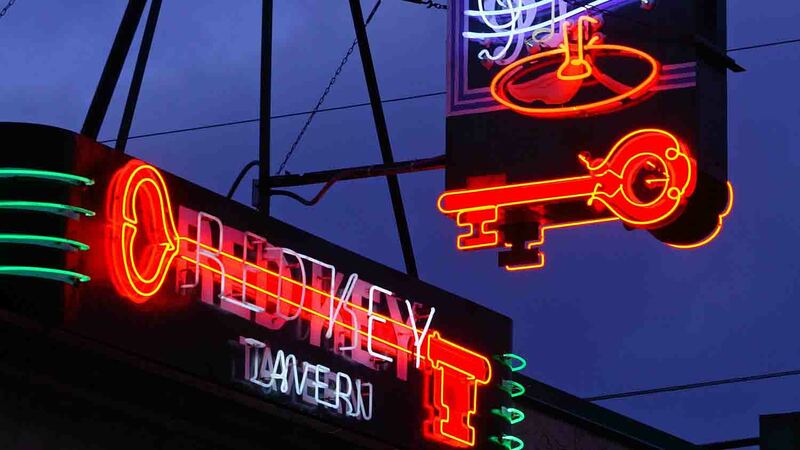 Sip on a scotch and water while bellied up to the bar and channel your true inner Vonnegut. One of Mass Ave’s most stunning buildings is The Athenaeum, originally named Das Deutsche Haus or The German House, and as you would guess, Vonnegut’s grandfather constructed this masterpiece. There’s even a room inside this Bavarian-inspired hall that is dedicated to Kurt. In 2016, The Athenaeum was named a National Historic Landmark. One component of The Athenaeum is the Rathskeller Restaurant and German biergarten. 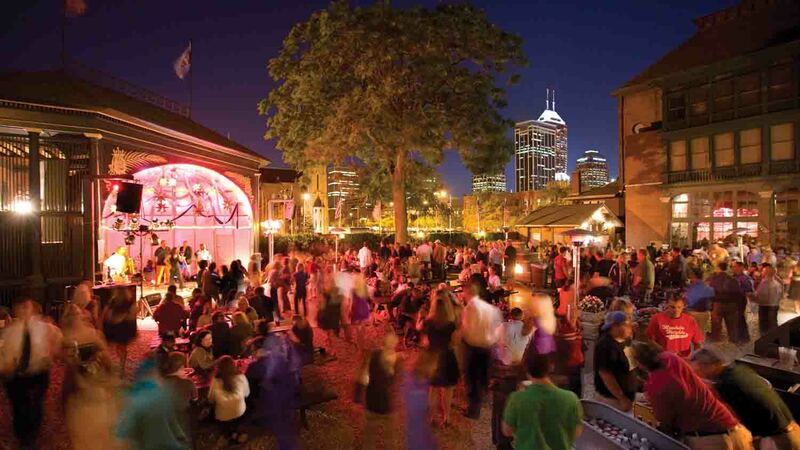 Today, residents and visitors alike pack the outdoor biergarten with big beers in tow and live music on stage. One of Indy’s best restaurants is located downtown on Virginia Avenue and named after one of Vonnegut’s novels. 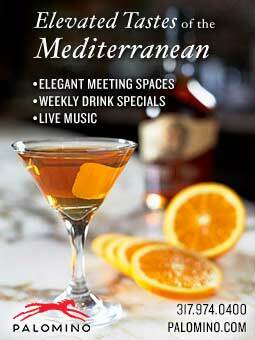 You’ll find Vonnegut-inspired cocktails on the menu, a library-like feel to the main dining room (they even serve your bill in an old library book), and old typewriters tucked along the shelves. Chef Abbi Merriss has been named a James Beard semifinalist. 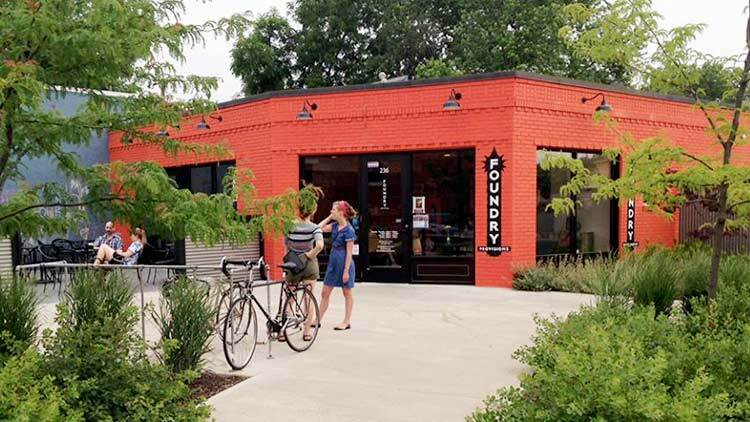 Just north of downtown Indianapolis, Foundry is located in the historic Herron Morton Place neighborhood. This cozy coffee shop is the perfect place to sip on coffee and read a Kurt Vonnegut novel. At Foundry Provisions, you can also find the Kurt V sandwich, named after the author. 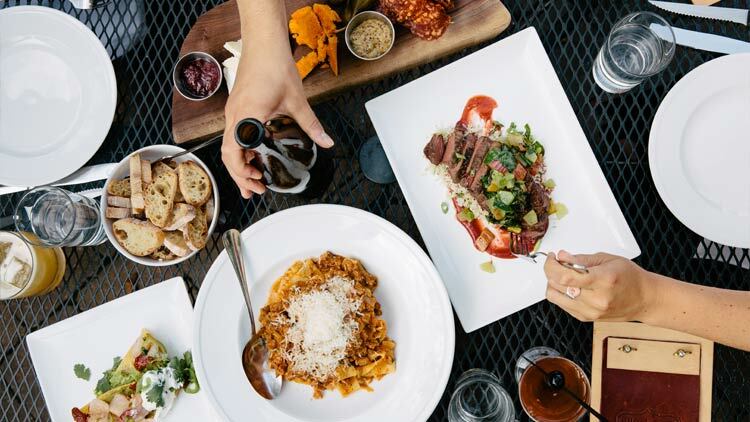 Known for their homemade crust and fresh ingredients, Jockamo Upper Crust Pizza doesn’t disappoint. 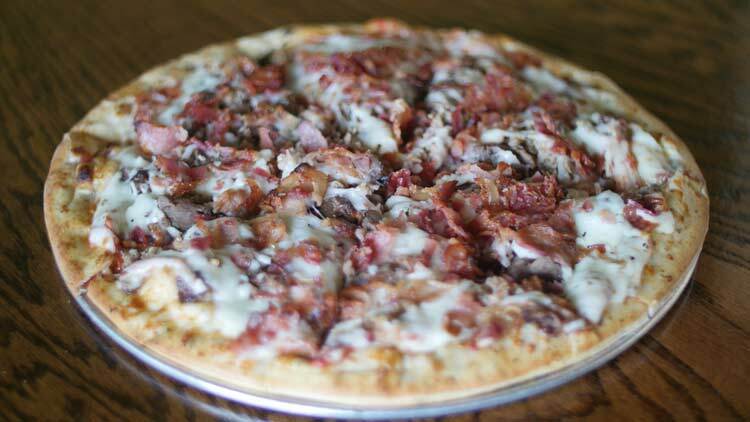 Try the Slaughterhouse Five, a local favorite that is topped with five different kinds of meats. 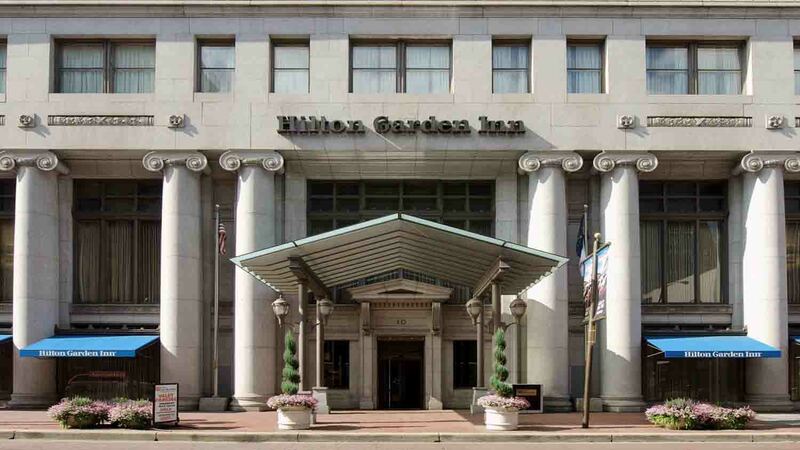 If you’re a true Vonnegut fan, then your decision about where you rest your head at night is easy, downtown’s Hilton Garden Inn. This building was designed by Kurt’s grandfather, who was an architect at Vonnegut and Bohn. The building was completed in 1915 and initially served as the Fletcher Trust Building. Many more Vonnegut-designed buildings can be found around the city, including Shortridge High School (where Vonnegut attended public school), the first Chamber of Commerce in Indianapolis, the William H. Block Company building, the John Herron Art Institute, and many other art deco buildings throughout Indy. The Omni Severin, originally known as just Hotel Severin, was also designed by Vonnegut and Bohn. 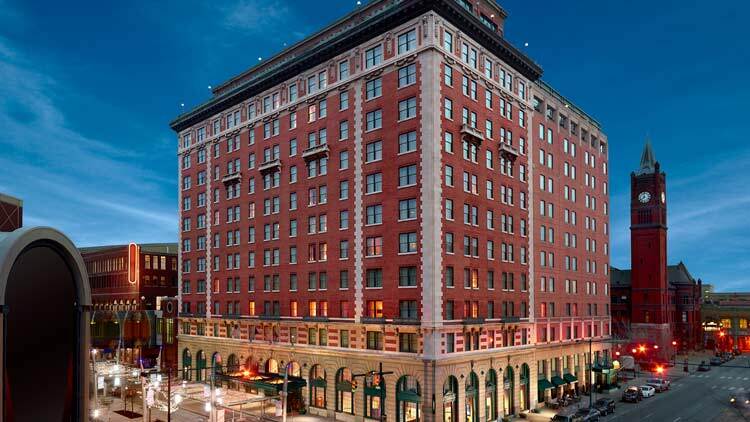 Being right across from the Union Station, Hotel Severin was an Indy favorite. Vonnegut was at the helm of the design of the hotel, but passed away before the project was complete and the doors opened in 1913. 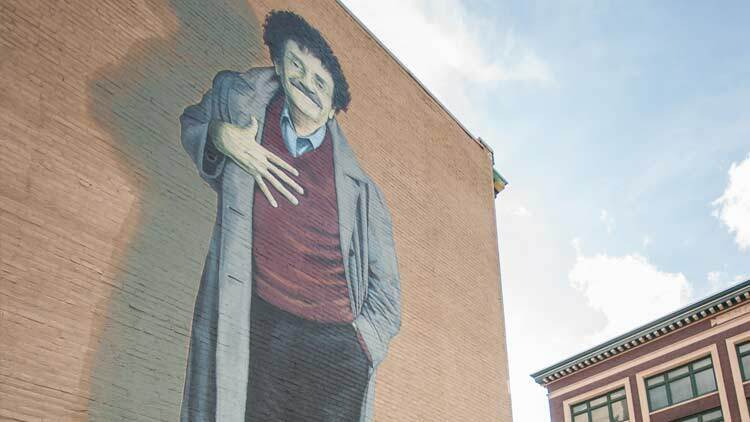 Vonnegut fans around the world are invited to come explore Indy, the city the Vonneguts built, and the city that shaped Vonnegut himself.